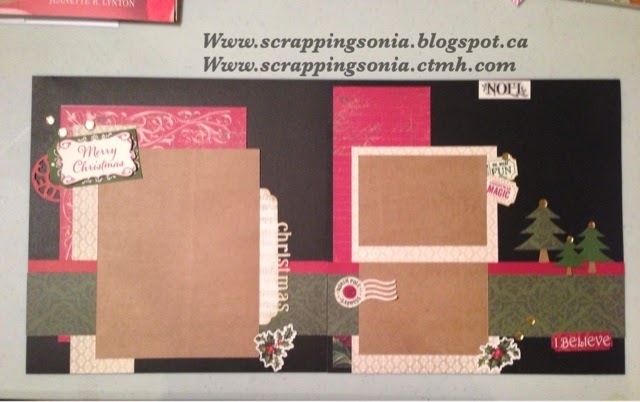 This months challenge is Yuletide paper pack, brought to you by the new Annual Inspirations, hand picked by Nancy Klein. If you came from Corinna Murphy's Blog then you're in the right place, this is a go around blog hop so you can start anywhere! Just in case you need to find your way, the full list will be at the bottom. So, as always, grab your coffee, tea, water, relax, and hop around the team with us. I had a lot of fun working with this kit. I used the Workshop on the Go G1084 to create the layout below. I also added a few extra details using the complement pack X7187C. 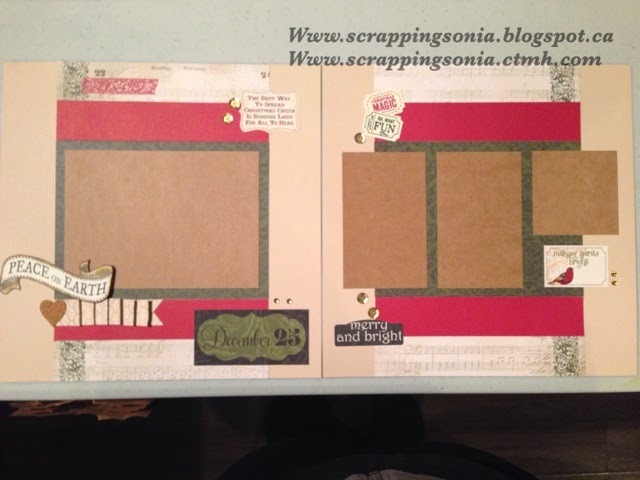 I also made the additional layout which is a layout featured in the Make it from Your Heart Volume 1 9035. I made a few changes to the suggested layout, once again adding some of the elements from the complements. Now I just have to find some pictures to add to these layouts! I love making tags! I made a few tags of different sizes. I used the artiste cartridge to cut these out Z1790. These are intended to be cards but I scaled them down a few sizes. 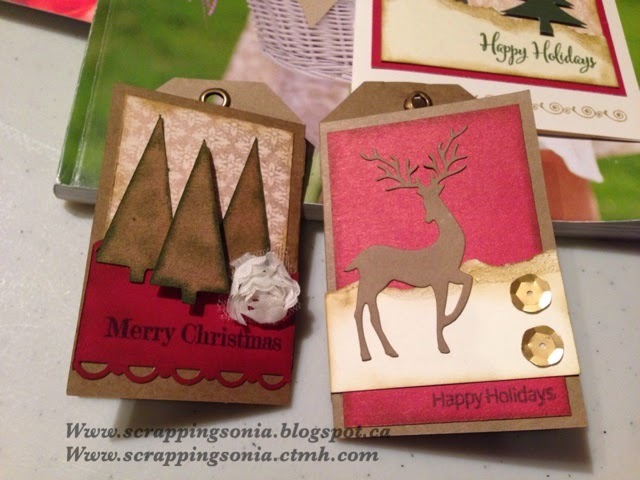 I used some Gold assortment Z2012 and some Ribbon rosettes to decorate the tags. 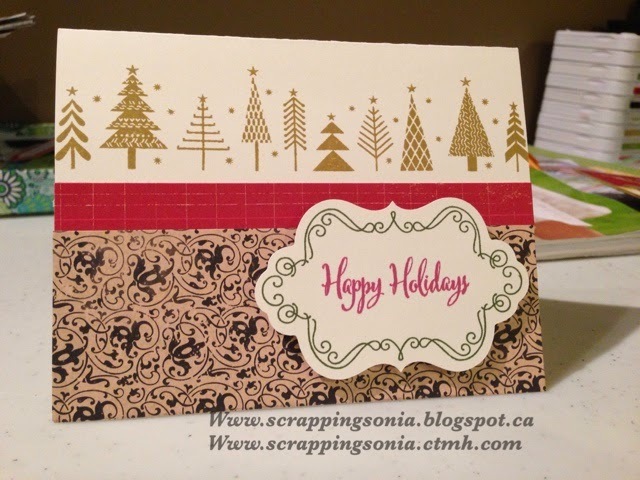 I also used this paper pack to get a head start on getting some Christmas cards done. I used some of the Christmas trees from the wotg layout. I used the stamp set just to say D1629 from artfully sent collection. I also used a stamp from the Snowhaven card wotg G1085 on this card along with a few stamps included with the Artfully sent cartridge Z3017. 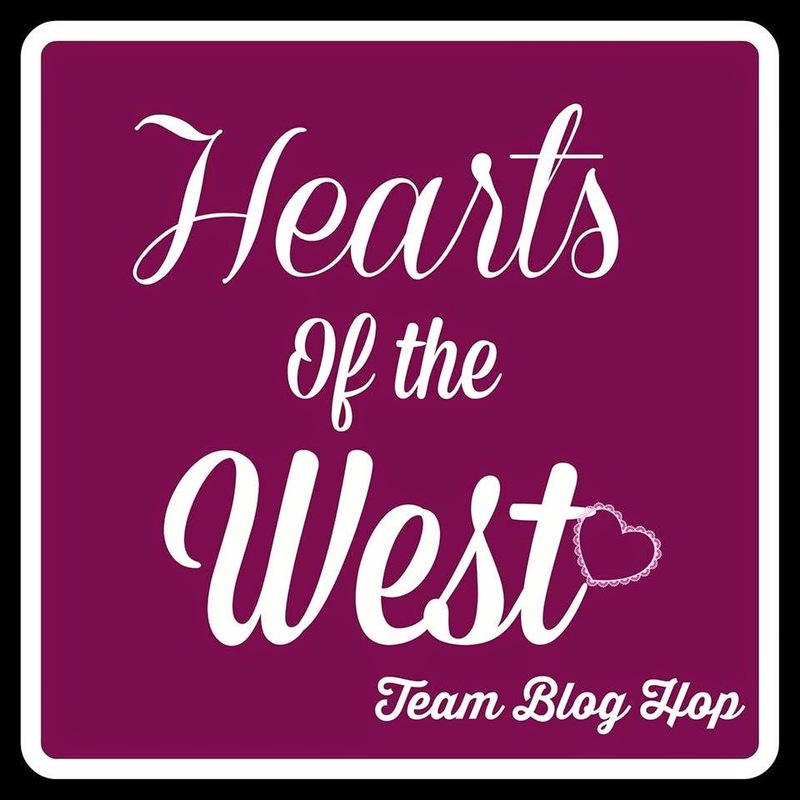 Your next stop is Terry Ann Diack 's Blog. 10. 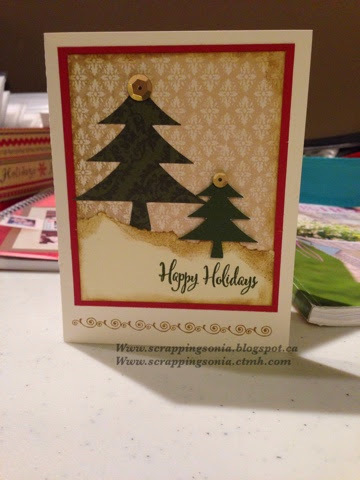 Sonia Parent St Jean - http://www.scrappingsonia.blogspot.ca/2014/10/hearts-of-west-november-yuletide-blog.html You are here. Someone has been busy! What great projects. I love how you added sequins here and there and all your ink distressing. Lots of great projects. Love the tags. Gorgeous Christmas themed artwork! Thanks for sharing Sonia!